Youngjoo Hwang alleges that in 2015, Fred Savage created a hostile environment for her while she worked on in the wardrobe department of The Grinder. She alleges that the environment wasn't just extremely hostile for her. She also claims that "aggressive behavior, intimidation, and constant use of profanities aimed toward female employees was left unchecked." However, Fox is standing behind Savage in denying the claims, noting that an investigation had been conducted that found no wrong doing. In a written statement, Fred Savage started off by defending the #MeToo and Time's Up movements, explaining that he never thought that he would find his name attached to one of the stories that has come to light over the last several months. He went on to say that the new movements were long overdue. Additionally, he flat-out denied the rumors, calling them entirely false. Savage explains. "These accusations are completely without merit and absolutely untrue. Fox conducted an extensive internal investigation into her claims, a process in which I fully participated. After concluding a thorough investigation, Fox determined that there was absolutely no evidence to support these accusations. None of her claims could be substantiated because they did not happen." Fox also released a statement in defense of themselves and Fred Savage. They insist that there was an investigation at the time, which was 3 years ago in 2015. Fox claims that the investigation that they conducted was thorough and maintains that they will continue to stand up for former child star turned sitcom director. They had this to say. "Fox takes all allegations of improper conduct very seriously. We conducted a thorough investigation into these allegations and found no evidence of any wrongdoing on the part of Mr. Savage. We will vigorously defend against these unfounded claims." 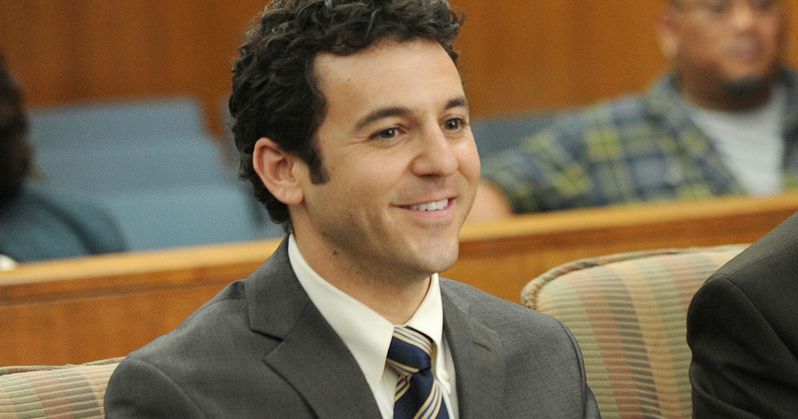 This is not the first time that allegations of wrongdoing have come up against Fred Savage while working on the set. When Savage was 16-years old, he and Wonder Years co-star Jason Hervey were accused of sexual harassment by costume designer Monique Long. Alley Mills, who played the mother on the hit show claims that the incidents never happened and blamed the accusations and following lawsuit for ending the Wonder Years prematurely. Youngjoo Hwang and her lawyer are looking to make sure that Fred Savage isn't allowed to allegedly abuse women on the set of his TV shows. The lawyer claims that they offered Savage a chance to come to an agreement, but the actor refused, which means that the case will go to court. It's a tricky time out there in Hollywood for actors, who might not be guilty of any crime, but end up being accused. Fred Savage has been pretty lucky to have former cast mates and studios come to defend him, so we'll just have to see how this all pans out. This report originated from TMZ.